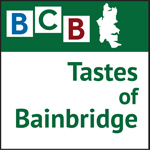 T&C’s Joe Pulicicchio returns to the Taste of Bainbridge series as we further explore how a major local grocery business can constantly make top quality fresh produce available on a regular basis through the changing seasons of the year. 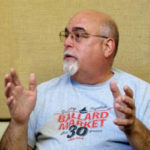 As the Director of Produce and Floral for Town & Country Markets, Inc., Joe provides new insights about the challenges that need to be addressed as various fruits and vegetables reach peak flavor and ripeness and make it to the shelves at just the right time. 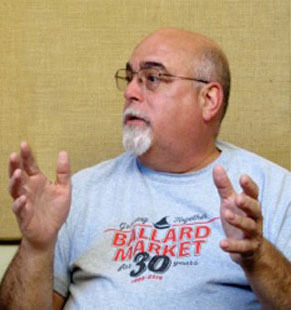 In this interview he discusses the end of berry season and the excellent melons of all types and flavors that are just becoming available. A highlight of the discussion is the fast approaching chili roasting season and Joe explains what dates in August the roasting will take place and at what stores. Roasting chilies in late summer is time-honored tradition with wonderful aromatic benefits and making the chilies more accessible for exceptional recipes. Credits: BCB host: Bob Ross; BCB audio editor: Chris Walker; social media publisher: Diane Walker.